Hotels4Truckers® is the only trucker-friendly hotel directory where you can list your hotel to connect with truckers from across the country looking for accommodations - like yours! The Hotels4Truckers.com directory only contains hotels that have been approved by our team to make certain our truckers can successfully fit in your hotel. Can your hotel accommodate a full-size tractor-trailer like this? If you have empty rooms and truck parking, we have truckers! Hotels4Truckers® has thousands of members that use our national directory to find lodging with proper parking. 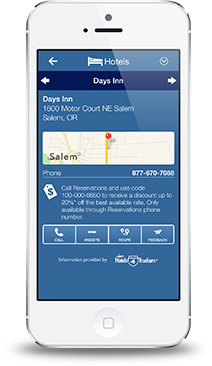 Hotels4Truckers® is also featured on the free MyDAT® Trucker app! With well over 250,000 downloads to date, (May 2014), MyDAT® Trucker has become one of the most popular apps in the trucking industry. Enjoy visibility on MyDAT® Trucker when you advertise your hotel on Hotels4Truckers.com. If your hotel is part of Choice Hotels International, Wyndham Hotel Group, G6 Hospitality, Red Roof Inn, or Vantage Hospitality, you may be eligible for a free listing*. Contact us to learn how you can have your hotel listed on Hotels4Truckers.com! 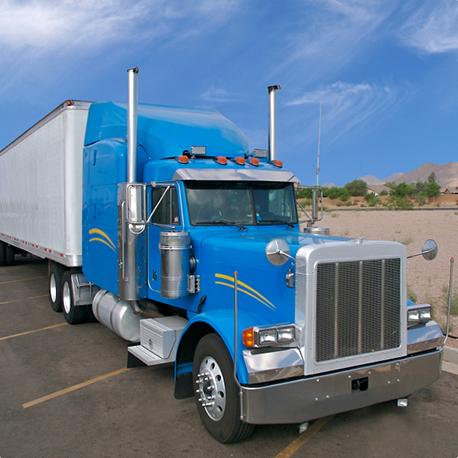 Are you a trucker-friendly hotel with truck parking? We want to know more about you. and contact you to discuss listing your hotel on Hotels4Truckers.com. can have your hotel featured on Hotels4Truckers®!